Have you just bought a new house? Or are you in the middle of a renovation or remodeling project? Well, this might not have crossed your mind but to give your home a look that it deserves, you have to spend a few minutes thinking about improving the condition of the driveway outside. While many homeowners worry about the interior of their homes, it is the exterior of your house that will be responsible for giving out first impressions. A majority of the homeowners pay attention to their driveway at the end of their home remodeling project. There isn’t enough budget remaining at this stage, they have to make a compromise. When it comes to the debate between paver vs. concrete, a driveway with pavers is the obvious winner. Concrete driveways, even though very common, are also highly prone to cracks that appear with time. Addressing these cracks and making the required changes is what you need to do when remodeling your house. After all, your driveway is the first area of your house that guests will see. 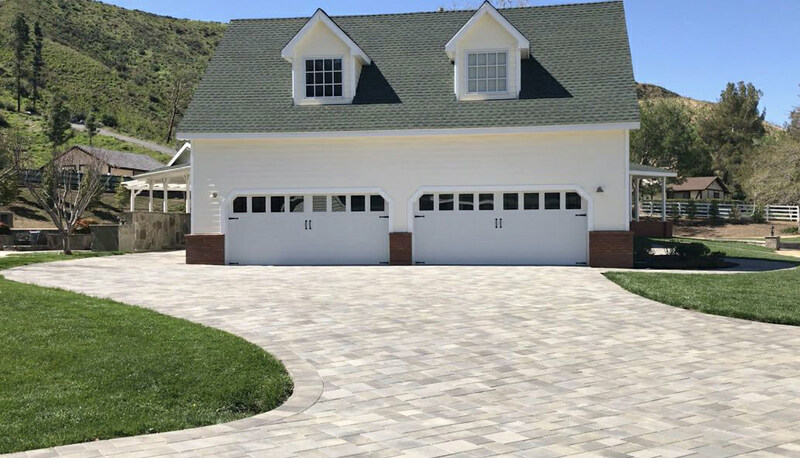 Since first impressions matter the most, we have included some useful tips in this article that you can use when revamping your driveway. There is no way for you to know what the base of your driveway looks like if you have just bought a preowned home. It is not uncommon for hardscape contractors to compromise on the standards used during the installation of the base of your driveway. Generally, a base comprising of granite rock is the ideal option. If the driveway is too close or trees surround it, it might experience damages due to the upward pressure. These damages first appear on the surface of your driveway in the form of cracks. There are times when driveways are not able to carry the weight of heavy moving vehicles and as a result, suffer from cracks. Moreover, your driveway can also suffer damage in the case of earthquakes and nearby construction projects. First, get rid of any weeds that seem to be growing within the cracks and making sure that they are dead. Clean the crack(s) by using a brush made of wires. Make sure you clean all the corners of the crack(s). With the help of an air compressor, you can pull out any other debris found inside the crack(s). Why Choose Paver for Driveway? Driveway pavers are not only popular for the visual appeal but also for the many structural benefits they offer. Resurfacing the driveway might prove to be the cheaper and quicker option, but in the long run, it can cost you significantly higher than pavers. This is because resurfacing your driveway will only temporarily hide the cracks under its surface, but since the real problems at hand will not be addressed, the cracks are bound to appear once again after some time. 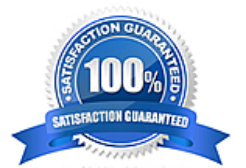 Therefore, resurfacing should be considered as the right option only when you are planning to carry out the process now and then or merely want to hide certain stains off the driveway. For all other serious problems such as cracks, you should choose driveway pavers. There is no doubt that the visual appeal of pavers is much more attractive than that of a resurfaced area. There are many different colors and paver patterns that you can choose from to enhance the architectural essence of your home. 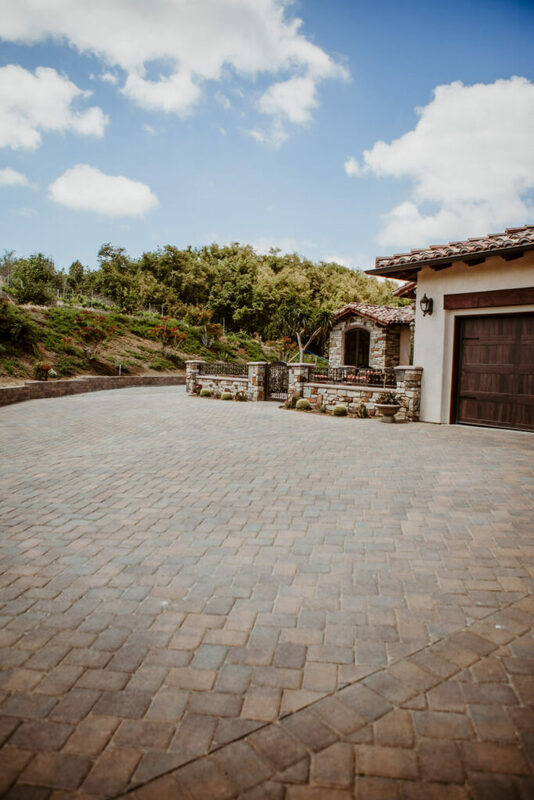 Many pavers in San Diego offer driveway pavers that are stronger as compared to concrete poured driveways. These pavers can handle all kinds of load and heavy vehicles and do not crack or suffer damages easily. Concrete poured driveways are more likely to get cracked as a result of extreme temperatures. On the other hand, pavers can adjust with the temperature outside easily without cracking. The maintenance for driveway pavers is effortless as compared to that of a concrete poured driveway. That’s because if pavers suffer from cracks or stains, they can easily be replaced or removed. A concrete poured driveway requires you to bring in a heavy concrete mixing truck for pouring followed by a waiting period of a week for curating. During this time, you cannot use the driveway either. However, in the case of pavers, there is no waiting period. Once they are put in place, you can immediately start using the driveway. While there are many pavers in San Diego, make sure that you choose one that specializes in driveway pavers. Choosing the right hardscape contractor is essential for the overall success of your remodeling project. Now that you have realized the importance of a driveway for your house, make sure you budget your remodeling project in such a way that it accommodates the driveway revamping as well.